Gilmore Heating Air Solar - We’re a full-service air conditioning, heating and solar contracting company with sterling reputation for providing customers with excellent service throughout greater Sacramento & Placerville area. Gotcha covered. It’s all about trust. Most homeowners want someone they can turn to who truly has their best interests in mind. It’s important to know we will care for your home and your family as if they were our very own. That’s our core philosophy and the way we run our entire company. That’s the Gilmore difference. We’re a full-service air conditioning, heating and solar contracting company with sterling reputation for providing customers with excellent service throughout greater Sacramento, Placerville, Jackson and Auburn. For more than 30 years, homeowners and business owners have depended on our certified technicians to service and install complete heating, air conditioning and solar systems. Just as important, our customers greatly appreciate our family style approach to doing business—we take excellent care of clients and keep our promises. This commitment to service is the foundation of our company. We only use the state-of-the-art technology to diagnose and repair existing systems—plus utilize the best new installation equipment in the industry. We repair all brands of central air conditioning and heating systems. And we offer scheduled service checks to ensure that your systems run smoothly. Trust your heating and cooling to a company with a whole family of happy clients. Join the Gilmore family of satisfied customers.Red Carpet Care for your Heating and Air! After graduating from Los Angeles Technical College in air conditioning technologies, John Gilmore started his career by designing heating and air conditioning systems for a large residential firm in Southern California where he rose to the position of Vice President of Operations. In 1972 John moved-on to manage and help build a new Southern California company, Certified Air & Heating, into one of the country’s largest service and replacement companies at that time. In 1973, he then decided to open his own heating and air company in Glendale, CA. which still operates today under its own management. In 1979, John opened up the current location of Gilmore Heating, Air, and Solar on Missouri Flat Road in Placerville, CA. John’s son, Darrin, is now the general manager. John maintains an active role behind the scenes. 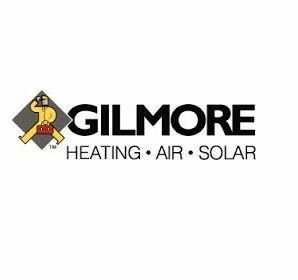 Gilmore Heating, Air, and Solar has now grown to 70+ employees.